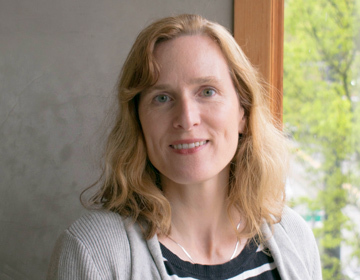 A senior interior designer, Kirsten brings nearly 20 years of experience in interior architecture/design and sustainability to the Opsis team. She has a passion for delivering excellent design work. With her strong technical background she is able to collaborate with clients, the architectural team and consultants while achieving design and sustainability goals. Nothing is more rewarding to Kirsten than walking a successful project with a happy client. Her experience ranges from higher education, healthcare, government and civic work to tenant improvements of all sizes and design missions. Kirsten graduated from Technische Fachhochschule Berlin with an engineering/bachelors of architecture degree and previously worked at Steidle + Partner and Gibbins European Architects in Germany. In the year 2000 she moved to Portland and prior to joining Opsis worked for 17 years at a large Portland architecture and design firm.